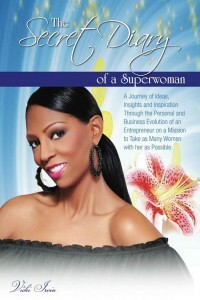 Meet Vicki Irvin… Speaker, Author, Coach & TV Host! After building her first company into a million dollar business in 12 months, Vicki started her next venture mentoring women business owners and those aspiring which has quickly become one of the most successful and popular coaching programs for entrepreneurs and those aspiring. 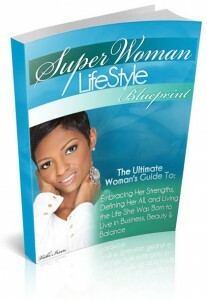 Vicki’s Superwoman Lifestyle Movement runs on her 3 B System… Business, Beauty & Balance. Much of Vicki’s success is attributed to her focus on teaching women how to make money while making sure they address feeling good on the inside and out and taking much needed “me time” which most are lacking. These 3 pillars of Business, Beauty and Balance have proven to be a successful formula for taking women in business to the next level so that they can truly fulfill their maximum potential in not only business, but life overall. Vicki has coached over 2,000 people on how to increase their own wealth, boost their businesses and employ marketing strategies that few have been exposed to. The success of Vicki’s coaching practice was built on her keen sense of marketing that keeps her events selling out in any economy. Vicki’s success has garnered national acclaim and recognition, making her much sought after by other business-minded women wanting to learn her non-traditional marketing methods. Vicki immediately realized a need for women entrepreneurs to have like-minded mentors who could help them build their business, and she began to coach others on how to add income streams to their existing business, build their client/contact lists and establish their business online in every niche and industry imaginable. Prior to becoming nationally known for her marketing and business prowess, Vicki had a successful career in human resources. She is a graduate of American International College in Springfield, Massachusetts and holds a Master’s Degree in Human Resources Development. Vicki was recently awarded an Honorary Doctorate of Humane Letters in Philosophy. Staying on her relentless mission for women to live their own Superwoman Lifestyle In Business, Beauty and Balance, Vicki stepped up to provide even more for women. True to her Brand Building Blueprint teachings, Vicki recently expanded her Superwoman Lifestyle brand to include her own line of SWL Collection Cosmetics and her own Superwoman Lifestyle Fitness boot camps. 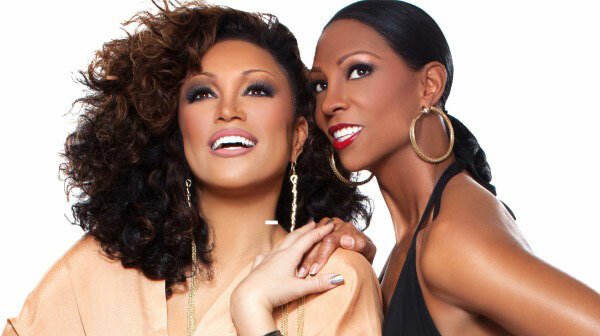 Vicki launched her own cosmetics line, the SWL Collection along with singer and R&B Diva Chante Moore as the celebrity face and brand ambassador. The line is geared toward the entrepreneurial and career woman with lipstick names like Superwoman, Success, Passion and Boss Lady, just to name a few. To find out more about the SWL Collection, visit: www.SWLCollection.com. 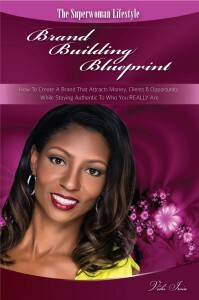 She is the author of three books, “The Superwoman Lifestyle Blueprint,” “The Secret Diary of a Superwoman” and the “Superwoman Lifestyle Brand Building Blueprint.” All are currently available on Amazon. V icki is also the co-author of the Amazon Best Seller “Mommy Divas On the Move,” and “Women on Fire”, an award-winning book that has received national recognition, awards and great reviews as a representation of 20 dynamic women with powerful stories of challenge and triumph. In addition to her own annual live events, Vicki is also host of Superwoman Lifestyle TV which highlights women entrepreneurs on the move at such venues as BET Award shows, red carpet events and women’s conferences. Vicki is the host of Superwoman Lifestyle Radio and is frequently interviewed as a guest speaker on numerous radio and TV shows and travels the country to speak on panels at seminars and conferences.